One evening in September Laura and I were very pleased to be representing Parallel at the annual awards ceremony at Brockenhurst College, a Further Education College in the New Forest. 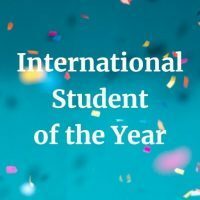 This year Parallel was excited to be sponsoring the International Student of the Year Award and we were very pleased to see that the chosen winner was a very worthy candidate. She had come to the college from Slovakia and had improved her languages skills while studying for A levels and helping out with the International Department and had now moved on to further studies at Edinburgh university. Her enthusiasm, language skills and dedication to hard work were very inspiring, as were many of the other awards winners who had overcome many challenges to succeed in their studies. The evening was particularly interesting for me as I used to be a student at the same college when studying for my A levels. Despite the awards being held in the hall where I had previously taken many exams it was lovely to return to the college, a place where I spent two happy years of my life. Situated right in heart of the New Forest, with grazing wild ponies metres from the entrance, it was a great place to study where I made many great friends. Upon completing my studies at the College I then went on to study European Studies at Southampton University (French and Spanish) including a great year spent at the University of Franche-Comte in Besancon, France. 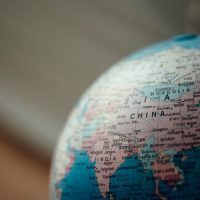 Following my degree I spent 18 months working with French customers at a Biology Equipment company, followed by 3 amazing months spent travelling around South America on a trip of a lifetime which I thoroughly enjoyed. Climbing the Inca Trail and visiting Iguazu Falls were two particular highlights of my travels. Shortly after this I was offered a job at Parallel and haven’t looked back! I have been here almost 10 years now and during my time here have been lucky enough to further my studies in Italian as well as complete a beginner’s course in Greek. I look forward to continuing my journey with Parallel. If you would like to start your journey as a Project Manager with Parallel then see our Careers page as we are currently recruiting!